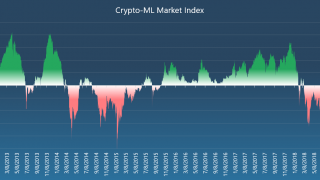 Yesterday, the Crypto-ML machine-learning model issued “SELL” signals, closing all open positions. Yesterday’s selloff saw double-digit drops that occurred during an incredibly fast 2-hour window. While these positions were sold for losses, this move can potentially protect against additional downside exposure. This shows us that exceptions can and do occur. Trading highly-volatile assets is a risky endeavor. 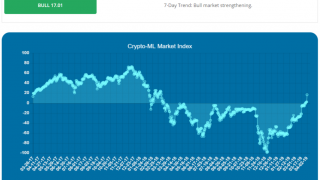 While the Crypto-ML platform posts incredible results, unique and exceptional market situations will occur that the system simply will not foresee. It is also worth noting that losing trades are part of the system. Crypto-ML, though, keeps them well controlled. For Bitcoin, losing trades have averaged -3.88%, whereas the winning trades have averaged 40.10%. Additionally, there have only been four other double-digit Bitcoin losses from the Crypto-ML platform, three of which were in 2014. While this is an unfortunate situation, it does highlight the risk of trading and how quickly an exceptional event can occur. 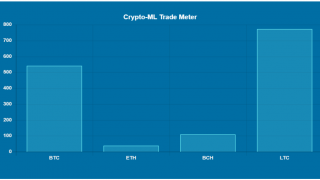 Traditional trading systems will accept losses in favor of larger gains, however, Crypto-ML can do something better. Every new situation is an opportunity to learn and improve. As a result of this loss, it is possible Crypto-ML will be able to better predict and avoid scenarios like this in the future. We look forward to a strong rebound and profit opportunity. Seems to be something wrong with your ETH alerts, the Ethereum alerts dont come through on the date you state they do. 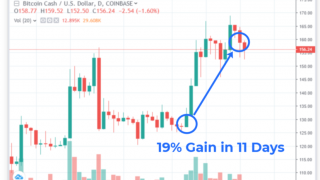 I have seen instances where you are stating to BUY ETH and then a few days later it switches to a SELL. Please check the history of your alerts from the 5/17/2018 for ETH and then check the latest alerts, the alerts are wrong. Thank you for the comment. Yes, there was a defect with ETH reporting. 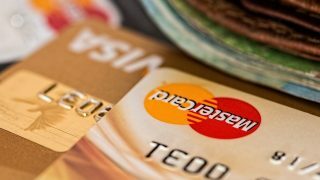 ETH was added to the platform recently in the midst of a “BUY” phase. The system did generate a “SELL” signal, but this did not reflect on the site properly. At the time, an update was sent and the defect was corrected. There is a note on the top of the alert providing a comment on the situation. 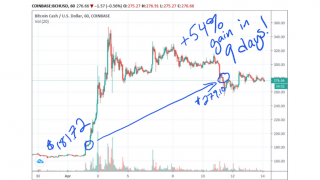 The system has not generated an ETH “BUY” signal since mid-May (which avoided losses other crypto experienced as described here in this post).